Peppa Pig has taken China by storm and captured the heart of every Chinese as the images of the pig can be seen plastered everywhere ranging from shopping malls, grocery stores and restaurants across the country. As the Chinese lunar new year is approaching on February 5, which is the year of the pig according to the Chinese zodiac , every person residing in China is eagerly waiting to watch the movie ‘Peppa Pig Celebrates Chinese New Year‘ which is slated to be released on the date of the new year itself. The film, co-produced by Entertainment One and Alibaba, recently released a five-minute promotional video which spreads the messages of family togetherness and is quite an emotional one. According to a report ,the video shows a grandfather asking his grandson over a mobile phone the gift he requires for the new year. When the grandson replies ‘Peppa’, the grandfather, out of confusion, consults a dictionary, ask his village over the loudspeaker system, and hassles everyone he knows before ultimately fashioning a gift out of a metal fan painted pink to look like Peppa’s face. The report says that the video has been praised by the Communist Party’s highest anti-graft body, the Central Commission for Discipline Inspection and Supervision, and its official mouthpiece, the People’s Daily. The Communist Party of China is the founding and ruling political party of the People’s Republic of China. 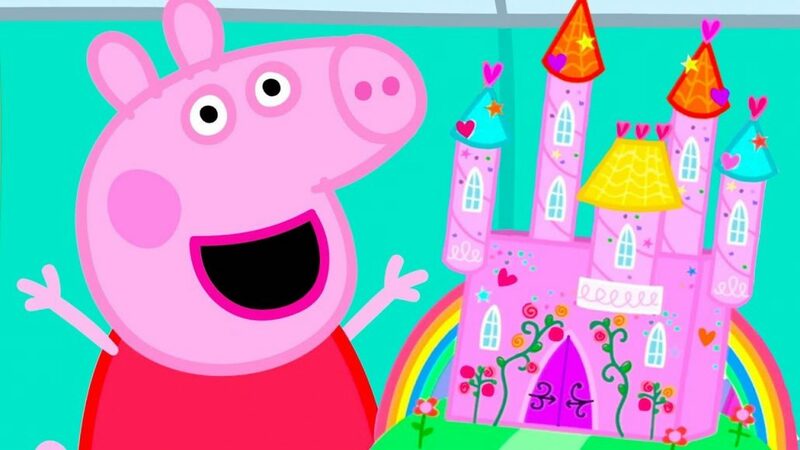 The Peppa Pig show, which was originally a British pre-school animated television series became an instant hit among youngsters in China when it hit the television screens across the country in 2015. Two years later, the character became immensely popular with post-’90s kids who identified with the ‘shehuiren’, or ‘gangster’, youth subculture but who didn’t have the money to dress the part. To poke fun at themselves, they took on innocent Peppa as their emblem, painting on fake Peppa tattoos, wearing toy Peppa watches, and remixing images and videos to make her, say, sport sunglasses, chains and a reefer. Alarmed at the influence Peppa Pig was having on youngsters, it was banned on social media . However, the promotional video of the film ‘Peppa Pig Celebrates Chinese New Year‘ captured the hearts of Chinese audience so much that even STX, an American media company is thinking to air the film in North America with the help from e-commerce giant Alibaba.